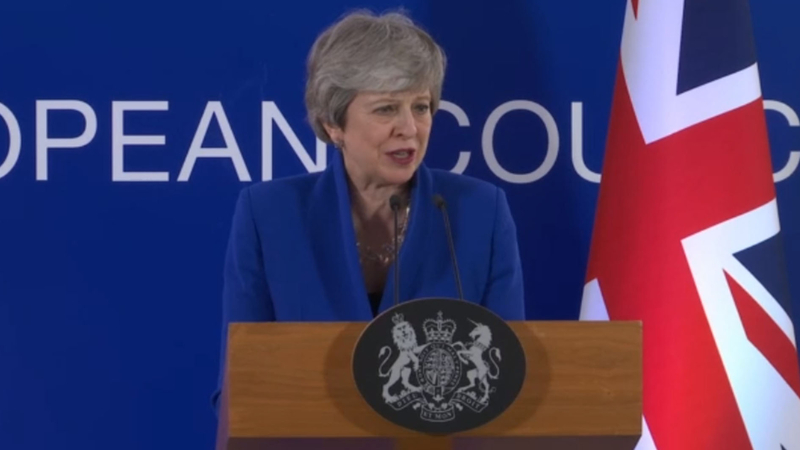 "The UK should have left the EU by now…"
"I sincerely regret I have not been able to persuade parliament…"
"The choices we now face are stark and the timetable is clear…"
"I want to leave as soon as possible…"
As Theresa May wearily answered questions in a 2:30 a.m. Brussels press conference on Thursday after agreeing to a Brexit delay of up to six months, she argued that Britain could still leave the EU without taking part in European elections. 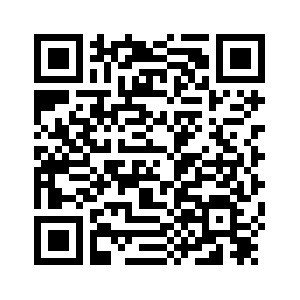 But there's little evidence that a resolution before the European Parliament polls in late May is likely, nor is it clear what the delay until Halloween can achieve beyond preventing a no-deal exit on Friday. European Council President Donald Tusk urged "our British friends… please, do not waste this time" in his press conference, but May's most pertinent line was probably, "I do not pretend the next few weeks will be easy, or that there is a simple way to break the deadlock in parliament." The flexible delay gives breathing space, but does nothing to address the roadblocks in Britain. 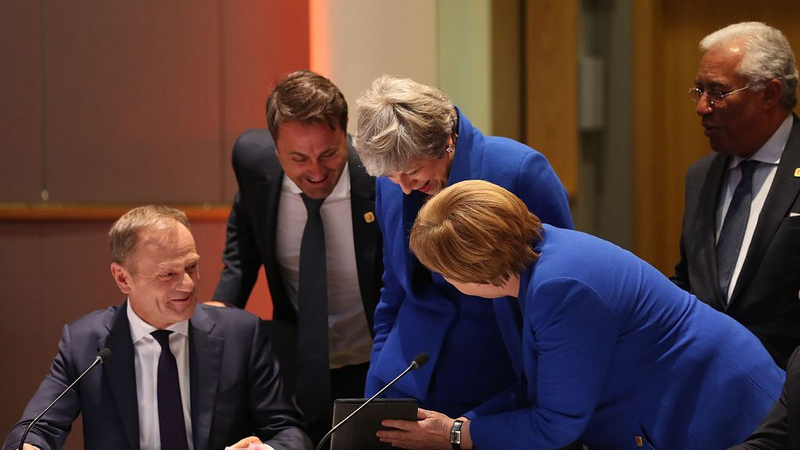 EU leaders reiterated that the withdrawal agreement – the part of the deal which includes the contentious Irish "backstop" – would not be renegotiated. A faction of Conservative MPs continues to oppose it and the opposition Labour Party will not pass the withdrawal agreement without major concessions. Talks between the two main parties on the political declaration will continue but progress has been slow, and the Halloween delay means the pressure of time is no longer an incentive for a quick deal. In any case, party discipline has broken down to the extent that there is no guarantee MPs would back a cross-party agreement struck at leadership level. Conservative MPs are mobilizing against both May and the new delay. 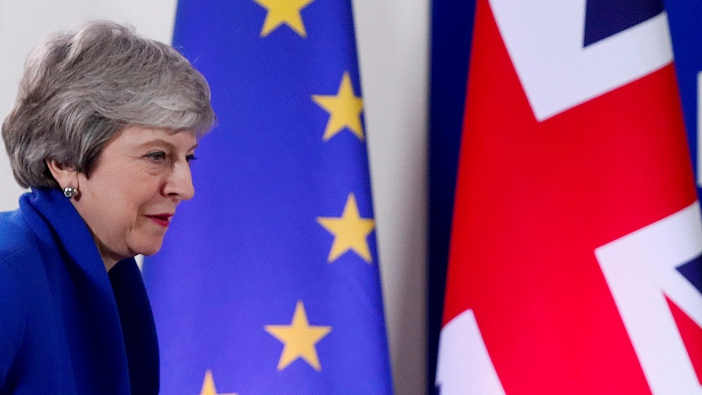 In a House of Commons vote on Wednesday evening, 177 Conservatives refused to support the prime minister's proposal of a delay to June 30 – the longer extension and likely participation in EU elections is unlikely to go down well. Parliament will start an Easter recess after May makes a statement to the House of Commons on Thursday, but pressure on the prime minister from her own party is unlikely to relent. Several Conservatives have already called for May to go, and the questions in her early morning questions indicated the peril of her position: The first two – both ducked – related to her ability to continue as prime minister. The good news for May – if she wants to stay in office – is that six months is an awkward, but not impossible, length of time for a new leader to come in and either hold an election or deliver a new approach. The six-month delay is in itself a compromise. 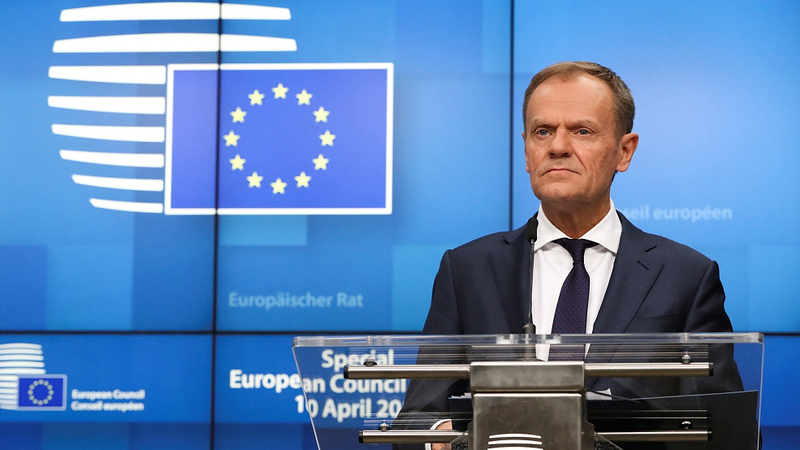 Most member states supported Tusk's proposal for an extension until the end of 2019 during the six-hour meeting, but France argued strongly against it. "It's true that the majority was more in favor of a very long extension," French President Emmanuel Macron said after the compromise was reached. "But it was not logical in my view, and above all, it was neither good for us, nor for the UK." For all that there was wrangling among the EU27 countries, Tusk hit upon the key point for the coming weeks with a customary end of press conference quip: "It's still much easier to build a majority here than in the House of Commons." Unless something dramatic happens in Britain's parliament, there's a strong possibility another cliff-edge summit will be taking place in the days ahead of Halloween.